As marketing budgets continue to shift from traditional to online channels, PPC (pay per click) advertising is the very first avenue businesses should be looking at. Done right, PPC advertising is a business’ best shot at attracting new customers at the lowest cost. Doing it right is the trick though as PPC platforms are constantly evolving and becoming more sophisticated. There are just some things that need to be left to the professionals and PPC advertising is one of those things. H2O Digital is a leading PPC Agency in Toronto; for we offer unparalleled Toronto based PPC management services to all businesses. Why Should You Invest In PPC? In a nutshell, PPC is typically the cheapest way to obtain new eyeballs and customers for your business. Traffic is imperative for a business website and while SEO (Search Engine Optimization) is a great way of generating organic traffic but at times you need short-term solutions to drive highly qualified traffic to your website; that’s when you need to consider PPC (Pay Per Click). 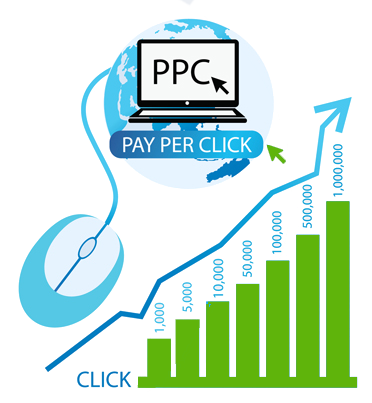 As a top-ranked Pay Per Click agency in Toronto, we ensure that your PPC campaign is handled only by a Google certified PPC expert. Our team of experts strategically choose the target keywords and then place ads on all the major search engines and social media platforms alike. First and foremost, we conduct an extensive keyword research; these keywords can be short, long or even phrases. This helps us in identifying the words and phrases used by a user while searching for your products and services. After identifying the target keywords, we analyze the keywords being used by your SEO competitor. This is a major one. After all the analysis, we draft Ads based on the target keywords and post it accordingly on different platforms. Posting your product’s Ads is not where our job ends. We monitor your Ads and check the conversion rate. If the conversion rate is low, we remarket your product. That is, we display Ads to all the individuals who’ve previously visited your website but weren’t converted into leads. Unlike most Google Advertising agencies in Toronto, we continuously monitor your Ad campaigns, analyze and even optimize them for better results, daily. Google Adword is indeed the best platform for carrying out a PPC Campaign. It offers a great potential, but if you aren’t thorough with the latest Google algorithm updates, you can misspend hundreds of thousands of dollars. Our experienced digital marketing strategists know their way through Google Adwords and will help you structure an effective and low-cost PPC campaign. We display your Ads on a variety of targeted channels- business websites, blogs and social media websites to name a few. Most of these Ads are generally displayed on the websites which are frequently visited by your target user. Product Listing Ads include more comprehensive information about a certain product. PLA’s include product image and are tailored specifically towards the product and product categories. Paid Social Media Advertisements plays a vital role in creating a brand image across the social media; they also help in increasing your fan base. We will create multiple of paid social media advertisements, analyze them, identify which works best for your brand and later optimize them for better Return on Investment. H2O Digital is a renowned PPC Agency in Toronto. Hire us for your next PPC Campaign and let the numbers testify our work and strategies.